The Sydney Hills District has seen a considerable growth over the past decade and the transformation of the area has seen a shift in consumer demand and taste and the gradual introduction of eatery / bar choices into the area to rival those in and around the Sydney CBD. The latest two great introductions to the Hills area are the Crooked Tailor restaurant and bar and Dramnation. Crooked Tailor has positioned itself as an alternative to all the pubs and bistros in the area. We will visit and preview Crooked Tailor in due time. With the latter, as we briefly previewed in mid May and also on our Facebook page, Matt Wooler; a good friend of TimeforWhisky, fellow whisky blogger, whisky connoisseur and also custodian to the long standing Distant Thunder Whisky Club -- has recently established and launched Dramnation. 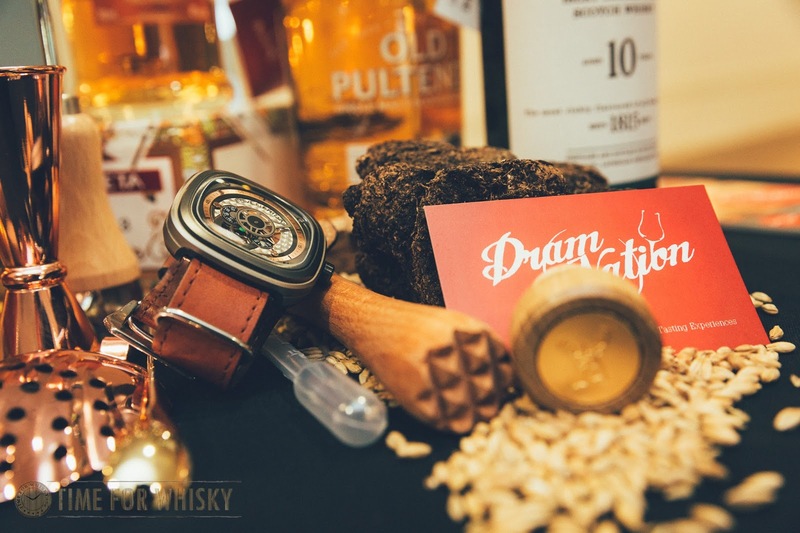 Dramnation is a startup business that has been founded by Matt and aims to impart knowledge and introduce whisky appreciation for individuals through a series of intimate presentations, whisky tasting and sensory exploration. The ultimate aim of Dramnation is to instill a good level of valued information to allow for a confident, educated decision making process when selecting and purchasing whisky at retail liquor chains or other specialist stores. Matt extended a spot for myself to partake in the series of whisky appreciation courses that ran over the course of four weeks. Hosted at the Castle Hill Bowling Club, the club allowed Dramnation ample space for the setup. Walking in through the lounge and onto the hall, the Dramnation space had been immaculately organised and presented. 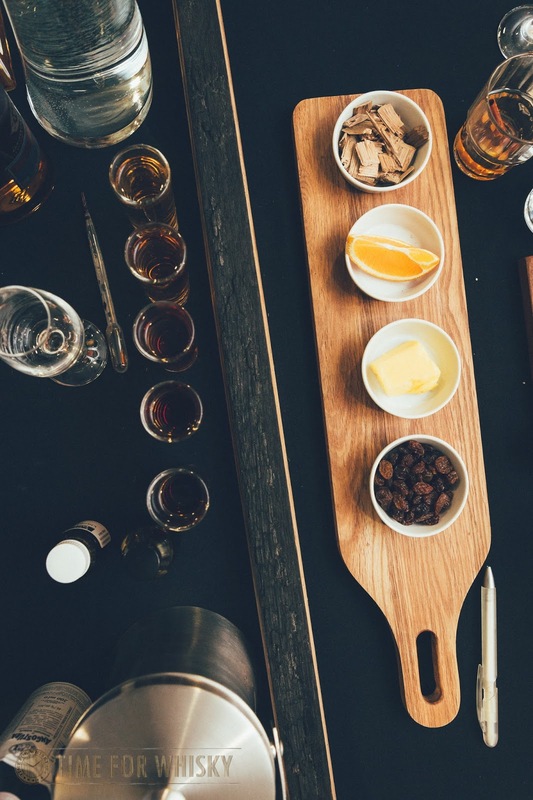 The collection of whisky wooden tasting boards and the colourful sensories have been elegantly placed across the long table and all the elements draw you in for a closer look. For those that have known Matt over the years, he is known for his attention to details and his innovative, thoughtful ideas. The Dramnation setup was all that and more. In the background was soft, pleasant jazz music that complemented the setup. Along the table, there was a range of sensories from vanilla pods, buffalo grass (freshly sourced from the Hills district), almonds, prunes, dates, orange, butter, raisins, wood chips and few others. 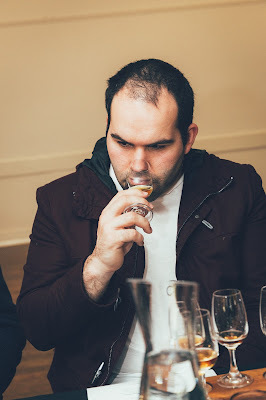 These sensories are later revealed by Matt as elements that can be explored by those around the table to allow a deeper appreciation of the whiskies being offered. Fingers food was also spaced along the table and included different types of cheese (which we will describe further later), crackers, mixed nuts, dried fruits, chocolate, pastries and a range of cured meat. These sensories are passed around throughout the session so as to allow a closer appreciation of them. This one above is peat soil that helped connect us to the moss 'smoky' peat characteristic that is inherent in those Islay whiskies some of us love. 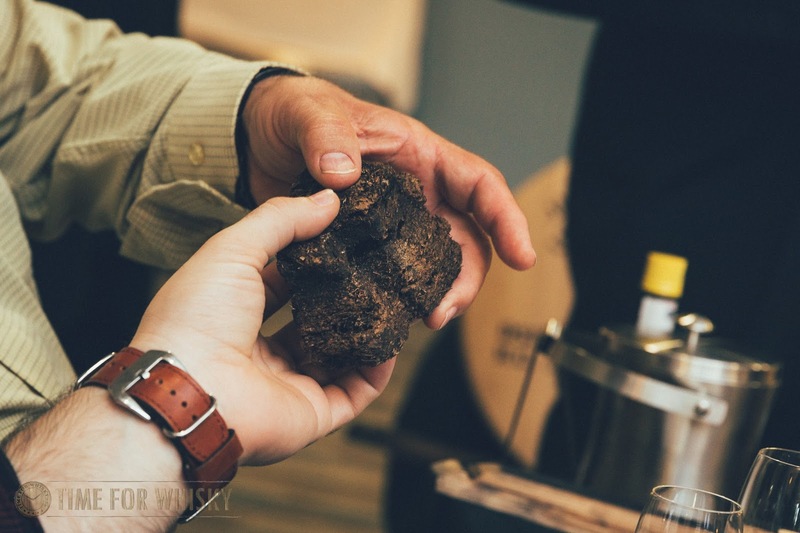 In this case, this peat soil was introduced in the Class 2, prior to our tasting of the Old Pulteney 12 Years Old; generally known as an old maritime whisky and also the Laphroaig 10 Years Old. I mentioned the different types of cheese on the table above. With the cheeses on the board, Matt explained that there are two types of cheese available on the board. The mozzarella cheese and the cheddar cheese. The mozzarella cheese had been described as a palate cleanser, a type of cheese that would help neutralise your palate following a tasting or snacking. 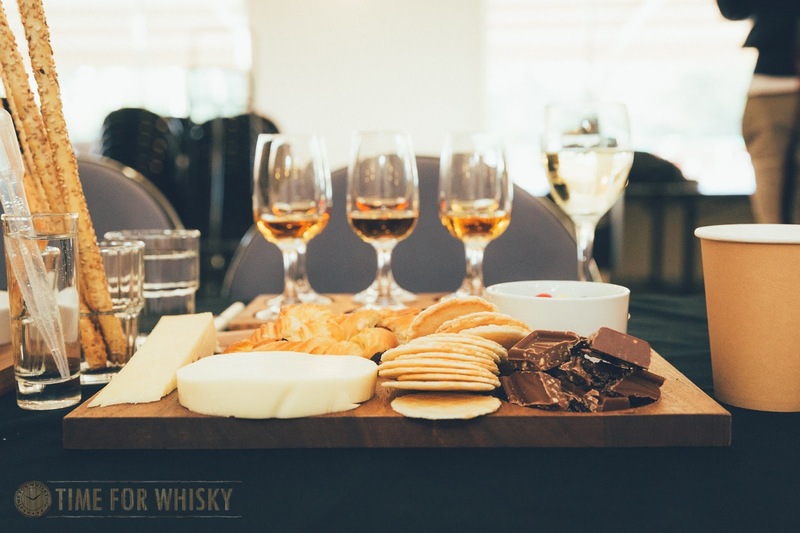 The cheddar cheese, on the other hand, had been described as a palate exciter and one to have prior to tackling the next dram. Despite my initial scepticism on the matter, the two types of cheese worked to clean and amplify the sensories from the dram on offer. Kudos to Matt for sharing this tip and one for you to try at home. Here the two types of cheese that were laid out next to the finger foods for sharing amongst those around the table - the cheddar slice on the left and the mozzarella block on the centre-left. Once everyone arrived, we were all ushered onto our seats along the table and presented a tasting cheat sheet summarising the tasting notes of the drams being presented. In front of each person was the whisky tasting board with five to six drams on each board (depending on the class). The above board from the last class contained six drams; five of which are whiskies and the sixth on the board was a glass of oloroso sherry. 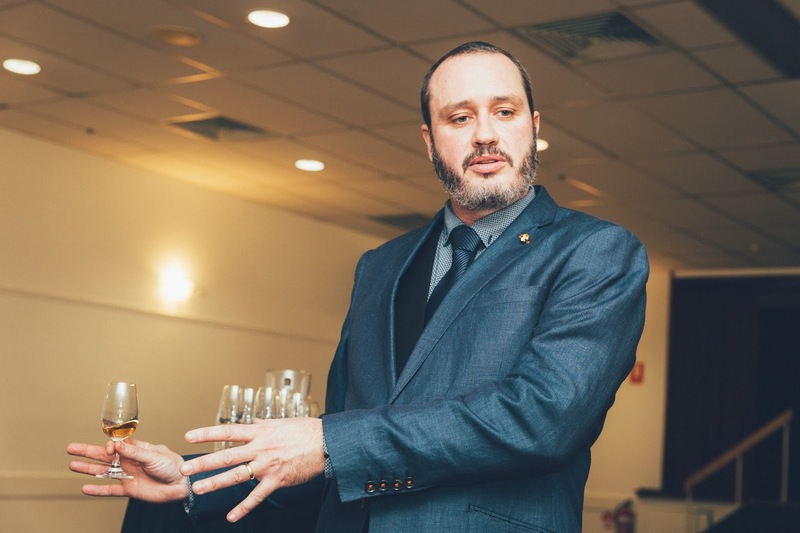 The sherry was there to help introduce the class to the world of sherried whisky (.. mind you, the wonderful world of sherried whisky). 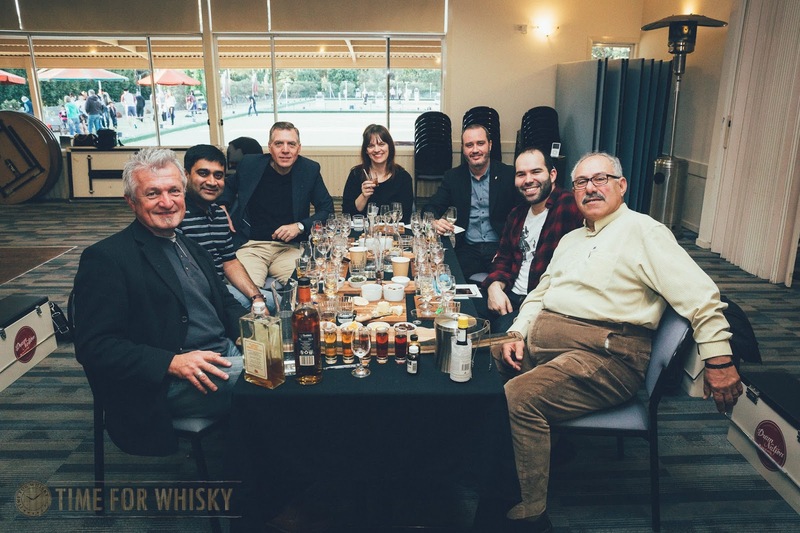 Throughout the four weeks, across four classes, a total of twenty drams were presented for tasting and this did not include all the mystery drams Matt introduced at the end of each class. 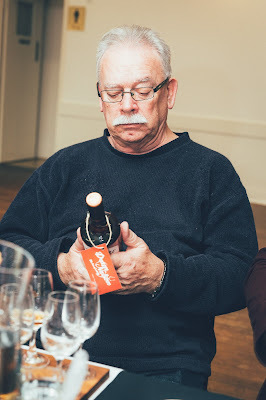 Mystery drams are simply drams which can be purchased in advance from the Dramnation site and the details of the the mystery drams are only revealed at the end of each class. Each mystery dram is personally selected by Matt and is quite unique and differ to the twenty drams offered for tasting. A couple of notable mystery drams were the Glenfiddich 125th Anniversary Edition and Teeling Single Grain Irish Whiskey. The twenty drams that were presented throughout the four classes were unique, varied and showcased the different characteristics that are inherent in the whiskies from the different regions. 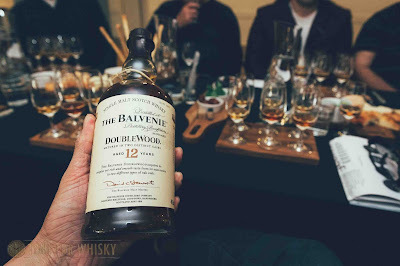 What I liked about the twenty drams was that all twenty drams are widely available from retail bottle shops and that simply meant that if you enjoyed any of the drams, you can get a bottle from your favourite bottle shops straight after class. Throughout the four classes, Matt intimately described each dram (of the five drams in each class) and he would provide an overview of the dram prior to our tasting of each dram, detailing the profile of the whisk(e)y, the likely nose, palate and finish characteristics that you are likely to encounter and also relevant sensories on the table that you can relate the dram to. 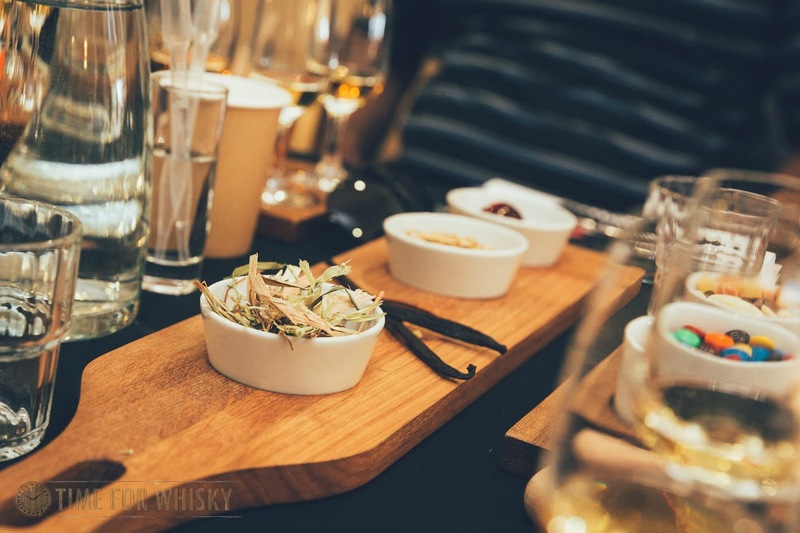 A different set of drams was curated for the four classes. The first class presented whiskies of the world, the second presented balanced whiskies, the third -- whiskies aged in different barrels and the fourth and final class presented an old (30 years old) and also four, beautiful, sherried whiskies. 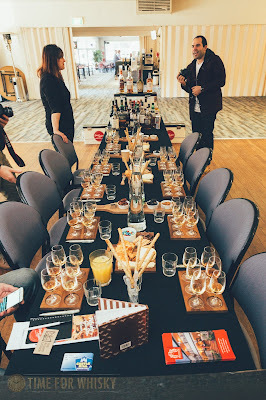 In between tasting, Matt took the time to discuss various aspects of whisk(e)y from the basics of whisk(e)y distillation (from the mashing, fermentation, distillation, ageing to bottling); the different Scotch whisky regions of Scotland; the different barrel sizes to the notion of whisky colouring. The back of each of the tasting cheat sheet provided in each class also summarised facts and figures regarding these aspects. 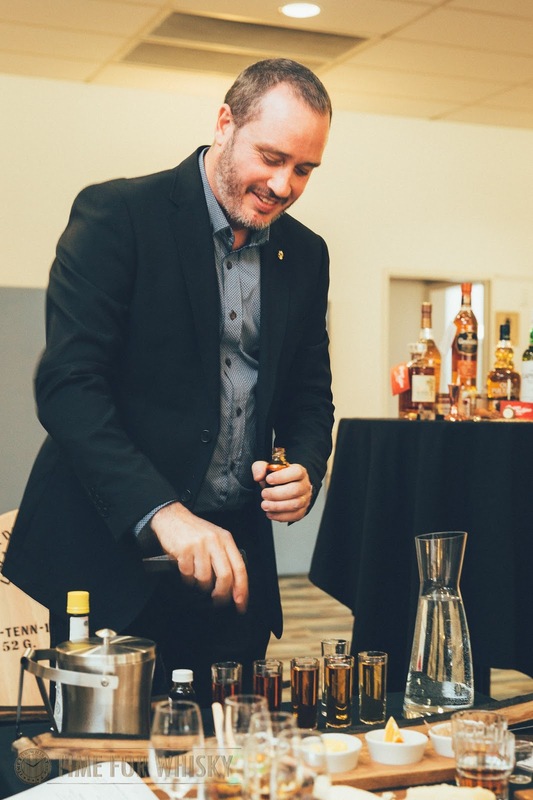 To deviate from the usual discussion of whisky facts, in one of the classes, Matt introduced the good old 'Old Fashioned' cocktail to the class. What's more, each of us was also given the opportunity to curate our own spiced old fashioned (details below) using a Woodford Reserve bourbon as the base bourbon. 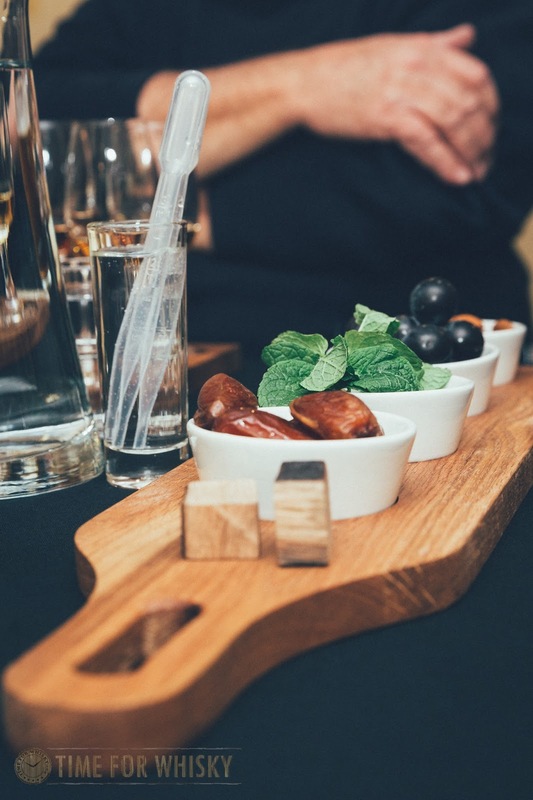 The 'Old Fashioned' cocktail was given a slight kick with few spices including cinnamon stick and star anise thrown into the works. The resulting cocktail was simply delectable. 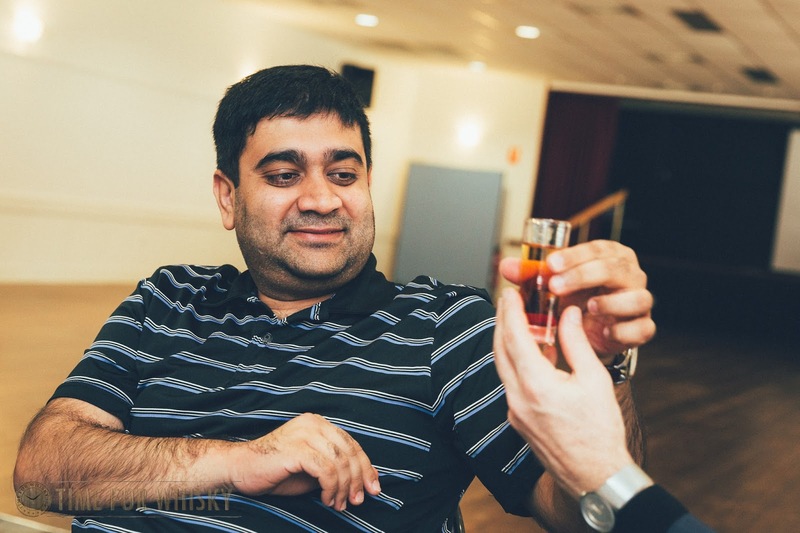 Also to break up the tasting rhythm, in the second class, we were given the opportunity to witness a demonstration on the colouration of whisky (though the demonstration used water) -- to demonstrate the same colouring process used to colour whiskies. 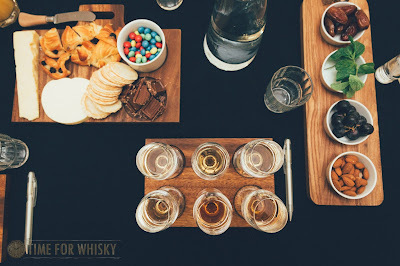 The caramel colouring used on the day was the same caramel colouring used by a number of distilleries to colour their whiskies to alter their colour profile as some whisky markets tend to prefer darker colour whiskies as they imply a more premium expression. 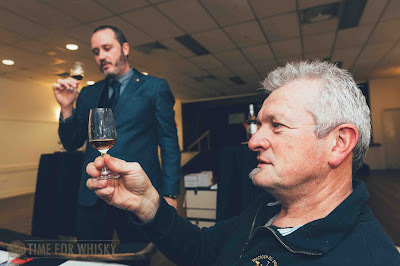 The demonstration highlighted an interesting side of whisky production and also highlighted the fact that most of us (including myself) could not successfully differentiate between a standard whisky and a glass of coloured water. Overall, the Dramnation Whisky Appreciation Classes were fun, interactive, intimate and insightful. 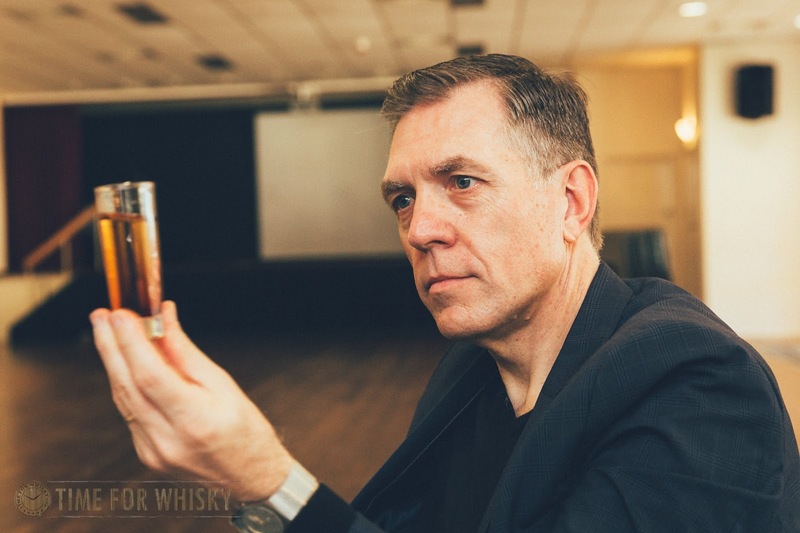 Matt's passion for whisky and in-depth knowledge of the subject matter was quite rightly evident and contributed to the overall experience and in my view, the overall great success of the classes. Many thanks to Matt Wooler, whose whisky knowledge, creativity, humour and charm make the classes a truly memorable experience, especially for those of us that are keen to explore different whiskies and learn more about them. If you would like to partake in these Dramnation Whisky Appreciation Classes or discuss similar style classes, you can visit the Dramnation site or contact Matt Wooler via Facebook, Twitter or Instagram. 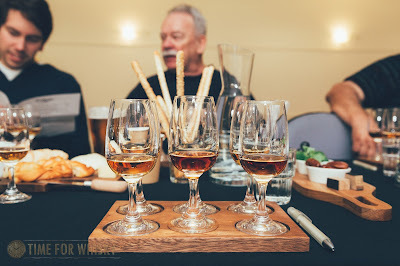 This July, Dramnation will also be presenting A World Whisky Tour at the Castle Hill Bowls Club, Thursday 30th July at 7pm. 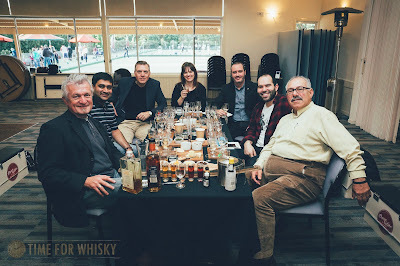 A tasting of six whiskies from around the world covering regions from France, Australia, India, USA, Japan, & a lost distillery from New Zealand. Tickets are $30 for Club Members and $40 for Non-Club Members. Find out more here. Muddle sugar and water until blended. Pack with 2 cubes ice, add bourbon, bitters and mix. Add cinnamon, star anise, twist orange and garnish while giving one final stir. Time for Whisky attended the Dramnation Whisky Appreciation Classes as a guest of Dramnation, with thanks to Matt Wooler.